A/V Production I is a foundational course in the Arts, A/V Technology, & Communications cluster for students interested in A/V (audio/visual) production occupations. Upon completion of this course, proficient students will be able to explain and complete the phases of the production process including pre-production, production, and post-production. Students will establish basic skills in operating cameras, basic audio equipment, and other production equipment. Standards in this course include career exploration, an overview of the history and evolution of A/V production, and legal issues affecting A/V production. In addition, students will begin compiling artifacts for inclusion in a portfolio, which they will carry with them throughout the full sequence of courses in this program of study. 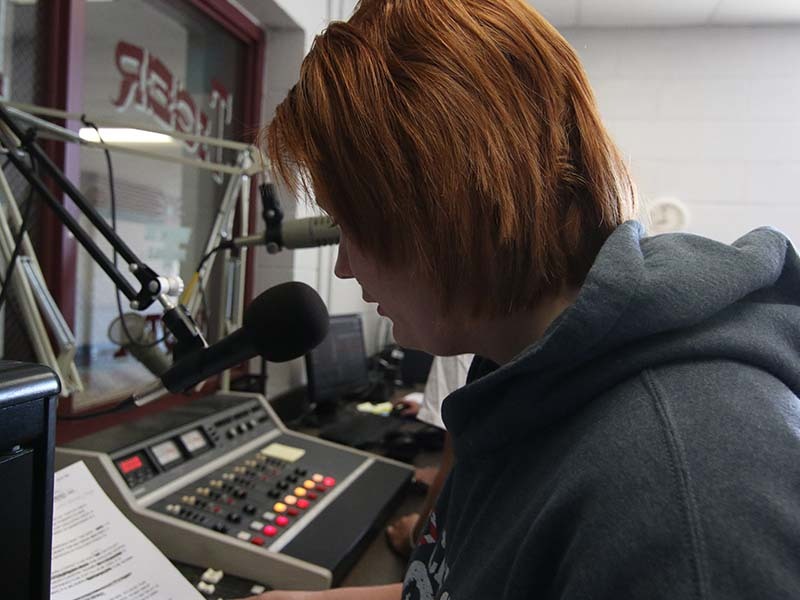 A/V Production II is the second course in the A/V Production program of study intended to prepare students for a career in audio/visual production. Building on knowledge acquired in A/V Production I, this course advances technical skill in utilizing industry equipment related to lighting and audio, and it places special emphasis on the research and technical writing involved in planning productions. Upon completion of this course, proficient students will be able to plan, capture, and edit research-based productions of increasing complexity, individually and through collaboration in teams. In addition to more robust career preparation, standards in this course include an investigation of concerns affecting A/V production businesses, such as ethical and legal issues, technology, funding, and the organization of professional roles in various industries. Students will continue compiling artifacts for inclusion in their portfolios, which they will carry with them throughout the full sequence of courses in this program of study.